We loved the area, chatting with James and Maggie who are wonderful hosts and full of local tips. The great markets during the weekend in the square (1min away by foot) the great wineries around the town and the breathtaking river located a short 5 min walk from the apartment. Saint Chinian is a little gem well worth visiting if you’re in the area. The apartment is well equipped with everything you need for a comfortable stay, AC, fully functional kitchen, comfortable beds and automatic shutters! The appartment was very clean and very comfortable would highly recommend this place as a definite must stay experience. Good location in town, very good furnishings (especially kitchen equipment) and nice touch with the wine, water, bread, cheese upon arrival. 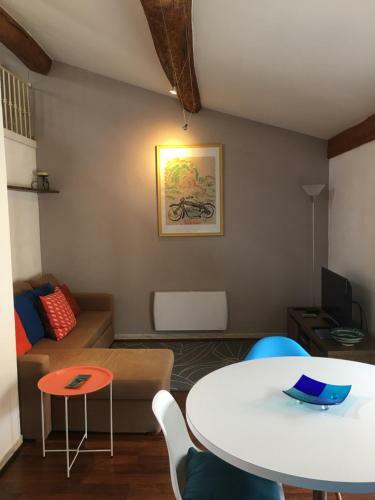 Comfortable, clean and warm (good heating) for a winter stay. Much literature (in English) on nearby sights and activities. 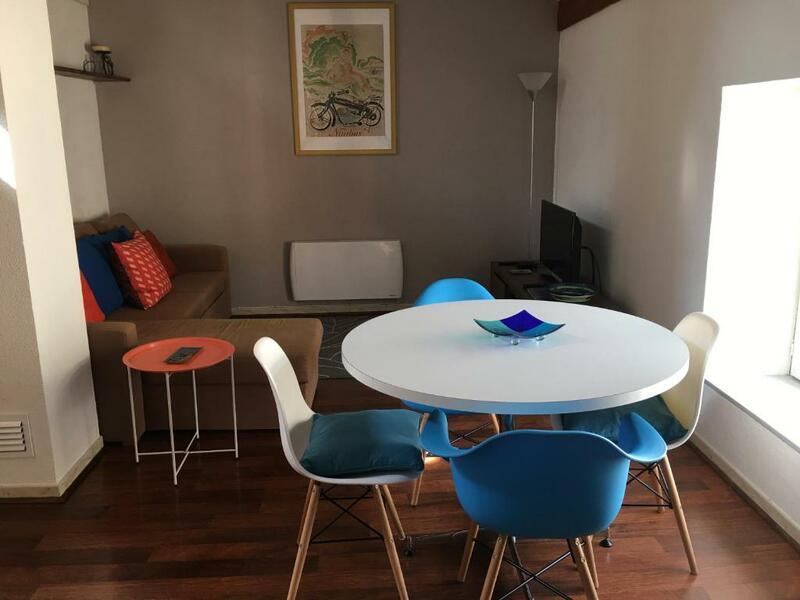 Roomy with 2 bedrooms, perfect for up to two couples or family of 4. Very good price compared to other rentals in area. Nous avons passé une très agréable semaine en famille dans cet appartement coquet. Très bien situé, au calme , non loin du centre du village et des commerces. Aucun souci pour garer la voiture. Les locaux sont propres, très bien équipés, la literie d’excellente qualité. Tout fut parfait ! La gentillesse, la disponibilité et l’accueil chaleureux réservé par Helen et Mickael ont été très appréciés. Merci encore. El apartamento muy bonito y la zona tranquila. La señora muy amable antenta y simpatica. Recomiendo al 100×100. Todo en general. Buena ubicación, instalaciones y mobiliario muy completo y confortable. Wifi excelente. Gran relación calidad precio. El apartamento esta muy cómodo para 4 personas. Se nota en pequeños detalles que realmente los propietarios lo cuidan mucho. En términos de calidad/precio, lo recomiendo. Lock in a great price for Saint Chinian Holiday Apartment – rated 9.8 by recent guests! 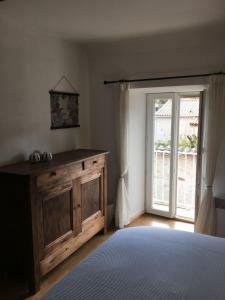 Saint Chinian Holiday Apartment is a self-catering accommodations located in Saint-Chinian. Free WiFi access is available. Featuring a mountain view, accommodations will provide you with a flat-screen TV, air conditioning and a balcony. There is a fully equipped kitchen with a dishwasher and a microwave. Featuring a bath, the private bathroom also comes with a hairdryer. Montpellier Mediterranee Airport is located 52 mi away. The property offers free parking. This property also has one of the top-rated locations in Saint-Chinian! Guests are happier about it compared to other properties in the area. 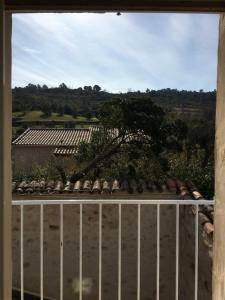 This property is also rated for the best value in Saint-Chinian! Guests are getting more for their money when compared to other properties in this city. When would you like to stay at Saint Chinian Holiday Apartment? Featuring a mountain view, this apartment includes a flat-screen TV, air conditioning and a balcony. 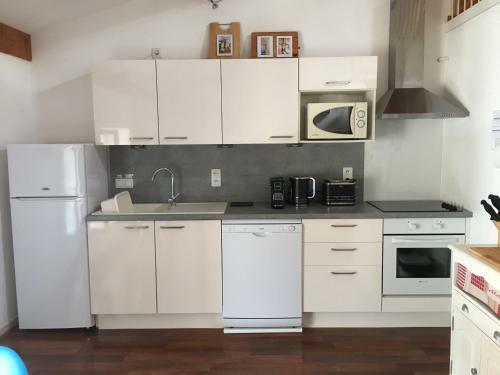 There is a fully equipped kitchen with a dishwasher and a microwave. Featuring a bath, the private bathroom also comes with a hairdryer. Additional facilities include a washing machine. We look forward to welcoming you to Saint Chinian come and share our passion for this stunning part of France. Whatever your passion, whether walking/trekking/cycling/kayaking or simply strolling by the calming Canal de Midi people and boat-watching , everything is within easy access. Eating local food in the many and varied restaurants, shopping, fishing, even wild boar hunting ... it’s all here. Miles of beaches are easily accessible and even getting an all-over tan at le Cap d’Agde 45 minutes away is possible. The Spanish border is only a 2 hour drive and in the other direction is Toulouse, the rugby capital of France not forgetting the regions famous wines. Saint Chinian is uniquely placed between the mountains of the Regional Natural Park of Haut-Languedoc, the world heritage Midi Canal, the Mediterranean coast with some of Frances most beautiful and historic villages like Minerve and Olargues close by, without forgetting the most famous fortress of all in Carcassonne. Larger cities like Montpelier (60 mins), Beziers (30 mins) and Narbonne (30 mins) are close by with Toulouse (150km) and Perpignan (100km) slightly further. Golf courses can be found in Beziers, Narbonne, Carcassonne, Cap d'Agde, Lamalou les Bains. 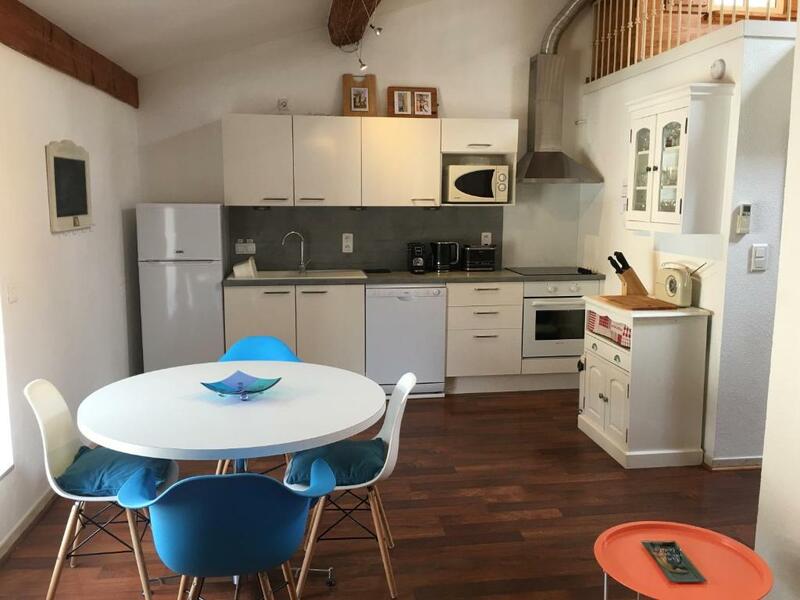 House Rules Saint Chinian Holiday Apartment takes special requests – add in the next step! Guests need be quiet between 12:00 PM and 8:00 AM. Please inform Saint Chinian Holiday Apartment of your expected arrival time in advance. You can use the Special Requests box when booking, or contact the property directly using the contact details in your confirmation. Could use a bit more light since apartment was north facing. However, in mid-summer, this might be a good thing (but we visited in February).